Stop Wintu Fraud: Wailakki Disambiguation- Athabascan or Penutian ? Wailakki Disambiguation- Athabascan or Penutian ? Lucy Young, in the photo, was most definitely a Wailakki Wintu. It is likely that her family was originally Chimariko, living on the South Fork of the Trinity River, near where it runs into the main Trinity River. 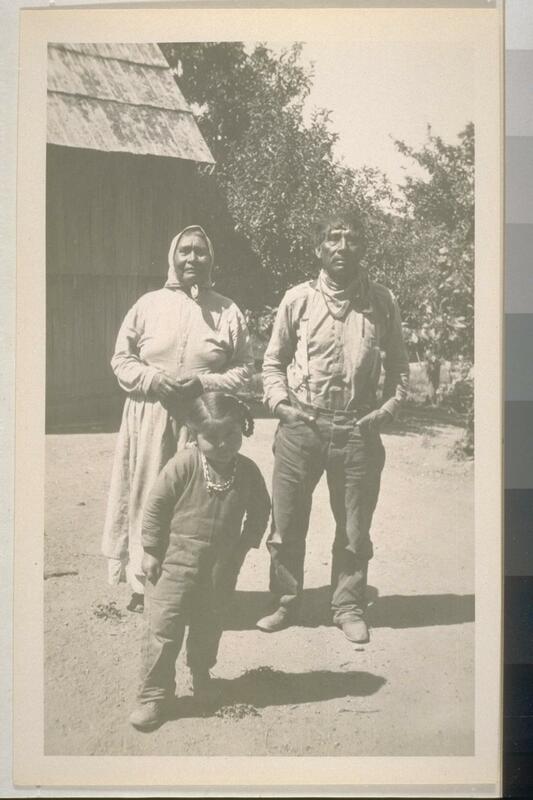 When the gold miners came, this family was pushed "from pillar to post" and finally found some safety in southern Trinity County where they are easily identified on the census rolls (if you know what you are looking for). They were seen by Stephen Powers in approximately 1873 when he traveled through, writing what eventually became known as the basis used by Kroeber in identifying California Indians. Lucy Young clearly identified herself as Wailakki, in spite of what Kroeber and the Berkeley ethnographers would have us believe. Lucy lived on the Salt Fork of the North Fork of the Eel River for many years, even before finally breaking away from Abe Rogers (and before she married Sam Young). Sam Young was a Hayfork Wintu and he was the adopted son of White Lily and Saccah aka D'Oeneil. Lucy and Sam lived with two elderly aunts at Salt Creek after an elderly uncle died. When the second of the aunts died, Lucy and Sam moved to Round Valley Rez where they had land allotments (see Mendocino County land records at Held-Poage Library in Ukiah). I would be happy to comment further on this family and its genealogy if anyone wants info. Is Lucy the child in the photo with 2 adults? Do you know if the are the Yellowjacket (Americanized spelling) family? We are of that line. I am one of Lucy Rogers decedents. Thank you so much for the information! I was an HSU student and moved to Humboldt without knowing any of my paternal family history (father was adopted). I am originally from the Silicon Valley and I actually didn't even know Humboldt existed before I found the school online and applied... I guess Humboldt really is behind the Redwood Curtain. You can imagine how surprised I was when I traced the genealogy and I found out I had family in and from the area!